Why buy land for sale in Folkestone? Approximately 40 acres of investment land for sale set in a beautiful rural location in the heart of the Kent countryside. The land is available as a whole or separated into 11 good sized lots that have superb potential for paddock conversion. The site incorporates mature woodland, adding charm and character to the land. The site benefits from picturesque views and extensive road frontage with two excellent access points off Longage Hill. The land lies on the edge of the idyllic village of Lyminge in the south-east of Kent, just 5 miles from Folkestone and the Channel Tunnel. Lyminge provides key services including shops, schools and a pub.The larger towns of Folkestone and Ashford are easily accessible within short travelling distances for local commuters. The price of land and property has risen strongly in the area partly due to a growing infrastructure offering high speed transport links to London and Europe. This makes the area a desirable place to live and combined with rising house prices has led to a lack of affordable housing. Consequently house prices are 240% higher than the national average. The site benefits from 532 metres of road frontage on Longage Hill, where there are two securely gated access points into the site. Both entrances provide areas to pull off the main road for increased security and safety. Not looking for land for sale in Folkestone? House prices in the area have increased by 178% in the last year alone. The average house price is £522,500 which is 240% higher than the England and Wales average. These figures show a massive percentage increase despite the current property market situation. The price of land and property has risen strongly in the area due to the development of the high speed rail and road links between Kent and London making it an ideal location for those commuting into the Capital. Kent is known as the ‘Garden of England’ due to its beautiful forest, hills, farmland and the Downs adding to its desirability. Folkestone could potentially occupy a key strategic position in terms of a gateway to Europe due to the M20 motorway and the Channel Tunnel Rail Link. There are plans to open a high speed domestic service from Folkestone to London opening the town as a commuter centre in 2009. Shepway District Council is currently facing problems with the lack of affordable housing in the area and in response aim to build 60 new affordable homes each year to help reduce the shortage in the district. Folkestone is a resort town on the south coast of Kent and has stunning views of the surrounding countryside as well as the coast of France. The town has developed considerably due to its transport links. The town is home to the Euro Tunnel which provides direct travel into France within 35 mins. The ferry port has recently been relocated to Dover which is one of the busiest shipping lanes in the world and reachable within 10 miles of the site. The infrastructure in and around Folkestone is one of the busiest in Kent. The M20 provides fast access to Ashford, Maidstone, London and the M25. The A20 leads straight to Dover and the A259 to Hastings, Eastbourne and beyond. To the north, a number of A and B roads connect Folkestone to Canterbury and Lyminge. Lyminge lies 3 miles north of the M20 motorway. The nearby motorway network provides easy access from the village to Folkestone, Ashford, Maidstone and the M25. Lyminge falls within the Kent Downs which make up the North Downs stretching for 120 miles from Surrey to the White Cliffs of Dover in Kent. The area is renowned for its natural beauty and its picturesque, rolling chalk hills provide a beautiful backdrop to the village of Lyminge. This region in Kent is recognised as an Area of Outstanding Natural Beauty with significant value to the English Countryside. Its purpose is to enhance the natural beauty of the landscape, meeting the need for quiet enjoyment of the countryside. Lyminge Forest can be found to the north of the village where a large area of mixed woodland can be found providing walkways and bridle paths. The village of Lyminge has recently won ‘Kent’s Best Village’, exceeding the judges expectations on categories such as environmental action, community life and business opportunities. The local schools have examination results that exceed the national average. Lyminge Forest provides a number of walks, cycle routes and bridleways for the leisure enthusiast. 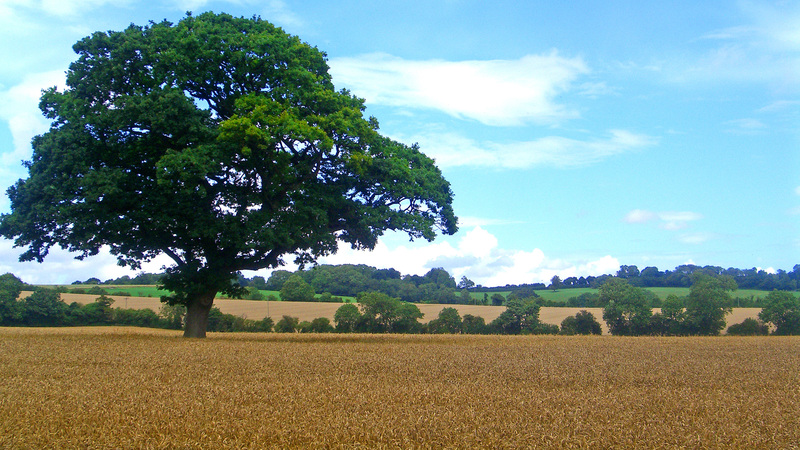 The area provides idyllic views and peaceful surroundings away from the hustle of the major Kent towns. There are a number of equestrian centres nearby to the site. The nearest is located in Densole, within 3 miles of Lyminge, homing a livery yard, indoor international sized arena and a riding school. 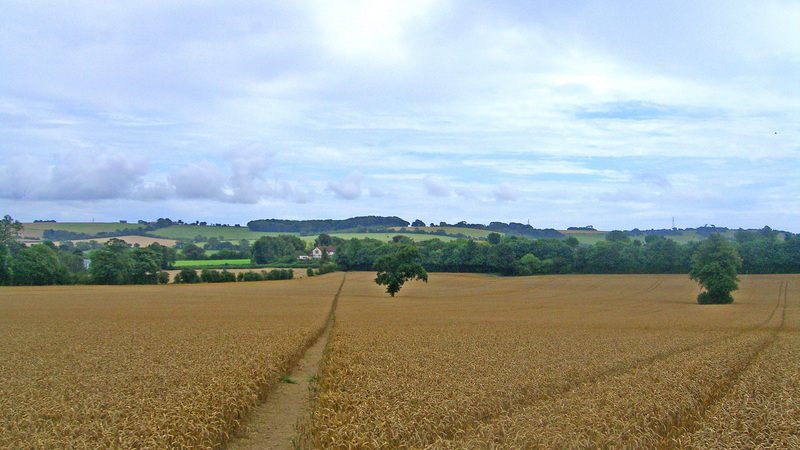 The nearest bridleway can be found in North Lyminge. To arrange a site visit or to buy the land for sale in Folkestone; please call 01727 701330 or email enquiries@vantageland.co.uk.